Got this from HAG just today. These guns are so hot that I never get to see them. And when I drop by the store today, imagine my shock when they told me they have stock! Needless to say, I grab a few boxes myself. These are awfully useful parts. For some of you who might be interested to know the array of tools I used for modeling, I think it is about time I do some periodic reviews of tools and options parts for everyone's benefit. I picked up this tool called Micro 2S Pro from Hobbymate. Upon opening the package, I see this palm size gadget which resembles a motorized toothbrush. The end of the tool is an attachment called the polisher. The sandpaper can be replaced easily. It only requires two AAA batteries to operate. The various attachments available - interchangable. I have make a video on how this thing works (my apologies for the crappy demo). All in all, I would say this is a nifty tool to have around. And it is very very affordable too. Will be available in mid March. The first 100 pieces to go at S$29.90 each! After six long months, I finally completed this. It took me quite awhile because I have been trying a few colour schemes and was undecided on the best one. Eventually I went for something refreshing for this classic MS.
Colour scheme - to concentrate more on the grey tones than the whites. Reducing the armor without sacrificing the "look" of the FAZZ. Breaking the general shape of the armors to create depth and complexity. For detailing, this would be one of my favorite MS as there are so much area for me to work on! The process was pretty fun! So after numerous failed colour scheme testings, I think I have achieved what my objectives. I sure hope my customer will not mind a "different" FAZZ. I have chosen red over blue as the base colour of my whites has a hint of reddish-brown to it. I also used Hull Red for panel lines which is a first for me. And with the three different grey tones I used, all colours actually blend in nicely. I am finally seeing the light at the end of the tunnel. A few more days and this will be completed. Very excited as I see this one slowly take shape. A few more parts to paint and I will be home dry. Yipeee! 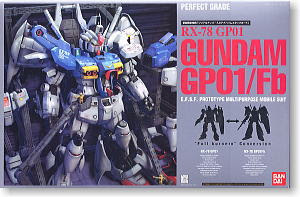 Here is one classic that everyone likes, a Perfect Grade GP01/Fb. For those who has this will know how massive this kit is. With hanger parts and additional amours, it is a challenge to complete this. Luckily, Leon did this one a few years back. Being the speed demon he is, I have absolutely no doubt he completed this within a month. Aside from details and panel lines, he even added a hanger "wall" to complete the set up.